The global silver ore mining market is expected to rise at a significant rate due to increasing demand for silver from electronics and electrical industries. Moreover, there is huge growth potential in this market as silver is used widely in industrial fabrication. On the other hand, there is high pressure to improve ore quality, reduce costs, and improve mine safety. This is to be done to move from a provider-driven model to a consumer-driven model. Information provided in the report gives out in-depth insight on the global silver ore mining market. The analysts have exercised both primary and secondary research techniques and have referred various other sources to provide complete knowledge about the market. It is categorized based on the key parameters including segmentation, vendor landscape, and geographic analysis. All information given in the report is based on the factual knowledge. Globally, the demand for silver has increased largely to due to growing preference for silver jewelry and silver wear among different income groups. Rising disposable income and changing trends among the youth has also augmented the demand in this market. However, shortage of skilled labor and depleting silver reserves are expected to hamper the growth of this market. In addition, increasing trade protectionism and frequent incidence of mining accidents might hamper the growth in this market. In the market, potential for the silver ore mining is lucrative as the demand for silver is high in form of jewelry and silver wear areas. Key players in the market are making conscious efforts to expand market’s growth by offering attractive designs in silver jewelry. International players in this market ae also making deliberate efforts to offer extraordinary design to capture high share in the market. From regional point of view, the global silver ore mining market covers North America, Latin America, the Middle East and Africa, Asia Pacific, and Europe. Among these regions, Asia pacific is expected to hold maximum share in this market. This region is expected to grow at a steady CAGR over the forecast tenure. China being the largest market in terms of value has augmented the demand in the Asia Pacific silver ore mining market. Rising demand for silver ore in the United Kingdom has also assisted in boosting the overall Europe silver ore mining market. Vendors in the silver ore mining market are focusing on different business development strategies such as innovation, partnerships, collaboration, mergers and acquisitions, and expansion. By using these strategies will help the players to strengthen their position in the regional and globe market. Vendors are also involved in product development by using advanced technology that will help them in getting competitive edge in over their competitors. 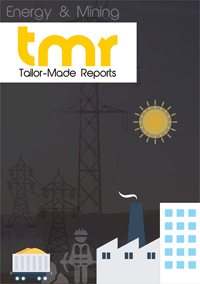 The report gives brief description about the key market players and the major strategies used by them. Some of the key players operating in the global silver ore mining market are S.A.B. de C.V., Compania de Minas Buenaventura S.A.A. (Buenaventura), Gold corp Inc., Glencore plc, Industrias Peñoles, and Volcan Compania Minera S.A.A..